Over the past two months we have witnessed a remarkable decline in the US dollar, with the euro gaining 10 cents on the US currency in the 9 weeks following the brief period of US dollar respite during the credit crisis turmoil back in August. As frightening as this level of sharp depreciation is for the greenback against the euro, alarmingly the US currency has depreciated at an even sharper rate against the Canadian and Australian dollars over the same short time period. This past Friday, the US dollar index closed at its lowest ever level and the currency now faces into arguably its most important week of the year’s campaign while apparently in freefall at a time when oil is trading at $92 a barrel. The Fed delivers its latest monetary policy statement next Wednesday and the smart money is on a 25 basis point rate cut. Some analysts are even predicting a cut of 50 basis points, so it now is a question not so much of ‘will they or won’t they’ but rather a case of ‘by how much.’ I have a sneaking feeling they will opt for a 50 basis point move, simply because the Fed’s key concern right now is the US housing sector and let’s face it, the key indicators we saw in the past 2 weeks on housing starts and home sales were even worse than the worst forecasts and with softer numbers in employment and retail sales, the Fed will probably want to be seen to be proactive to lower the risk of the economy going into recession. The Fed surprised when it moved aggressively with a 0.5% cut in September and with further deterioration evident in housing since then, the Fed may well decide to act in a similar aggressive vein this Wednesday. Inflation remains a very real threat in the US, especially with a battered dollar and oil prices going through the roof, but the US Administration and Fed has to date shown no real desire to publicly support the dollar, so in effect the US is indirectly supporting the dollar’s decline. A 50 basis points reduction on Wednesday may have unpredictable results for both stock markets and the US currency, as it may force a rethink on the part of investors as to the outlook for the US economy and the risks, which could lead to a rise in risk aversion levels, which might temporarily protect the US currency. 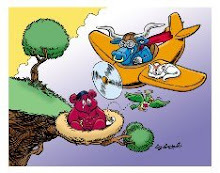 A 25 basis points move on the other hand will be read as a gift to stock markets and investors will anticipate more of the same to come from the Fed and this will lead to a broader rally in global stocks and a continuation in the sell-off of the dollar. The ironic thing about Wednesday’s Fed announcement is that it will come only hours after the Government look set to report US growth exceeded an annual rate of over 3% for the second successive quarter, in quarter 3. While the GDP number may look good on its own, it will be ignored by currency markets which will only be interested in what happens to interest rates later in the day. The market will need to quickly absorb the Fed’s policy statement because Thursday and Friday are packed with further key economic releases, including the ISM Manufacturing Index and Personal Income and Expenditure data Wednesday and the non-farm payrolls on Friday. A 25 basis cut Wednesday that is then followed by a weak ISM number and a soft PCE core inflation number Thursday and a weak employment figure on Friday could prove fatal for the beleaguered dollar and the currency will be set to hit further record lows. It is difficult to be anyway optimistic for the dollar this week, particularly against the euro. The euro area report an advance estimate for October’s consumer price inflation next Wednesday and the forecast is for a significant up-tick in the reading from 2.1% last month to 2.3% for this month. If this is the outcome it is going to keep the ECB’s hawkish line firmly in the ascendancy and with the Fed set to further ease US interest rates later the same day, this is going to give traders a firm reason to propel the euro to even more extreme overbought levels. The euro should be able to breeze past 1.45 this week and could go significantly higher, towards even 1.4650 before we see a new peak and a correction lower. Looking at the downside risks to the dollar associated with this week’s data, a dollar correction is only likely to happen if there is a major rise in risk aversion levels (coinciding with dramatic falls in global stock markets), or if there is strong verbal or direct market intervention by Central Banks. Currencies most likely this week: Euro, Swiss franc, Aussie & New Zealand dollar. Currencies most at risk: USD & Japanese yen.